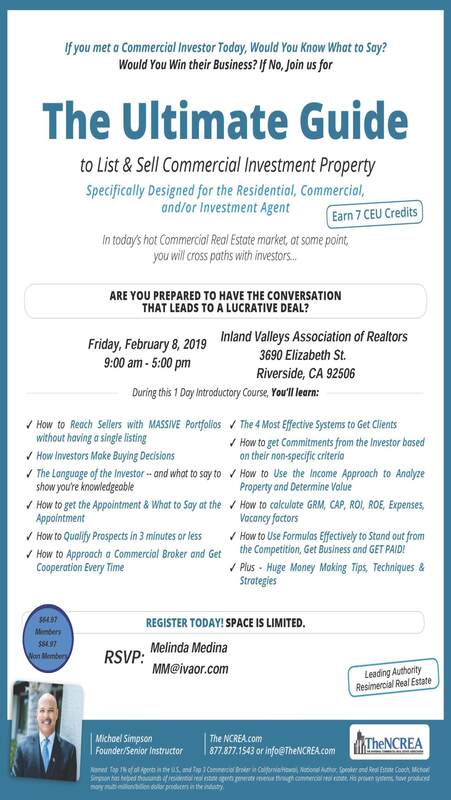 If you’ve ever thought about adding Commercial Investment/Multi-family sales as an additional stream of revenue to your current residential business, then join us next Friday, Feb 8th for a Commercial Investment training designed exclusively for residential agents. We’re bringing in Commercial Real Estate Coach Michael Simpson for this training. If you haven’t signed up for next week’s training, click here to register today. For more info on what the training is about, check out this quick 2-minute video.